As the saying goes, a picture is worth 1,000 words, so it's no wonder so many authors incorporate symbolism into their writing. The visual nature of symbolism also makes it a fun concept to teach to students. Whether you are teaching this as a new concept for your students, diving in deeper, or just reviewing the basics, you'll find activities and resources below that will benefit all levels of students. At the start of my teaching career, I taught primarily ninth grade students at an urban, Title 1 high school. My students came from a variety of K-8 schools, which meant they came with varying English Language Arts experiences. 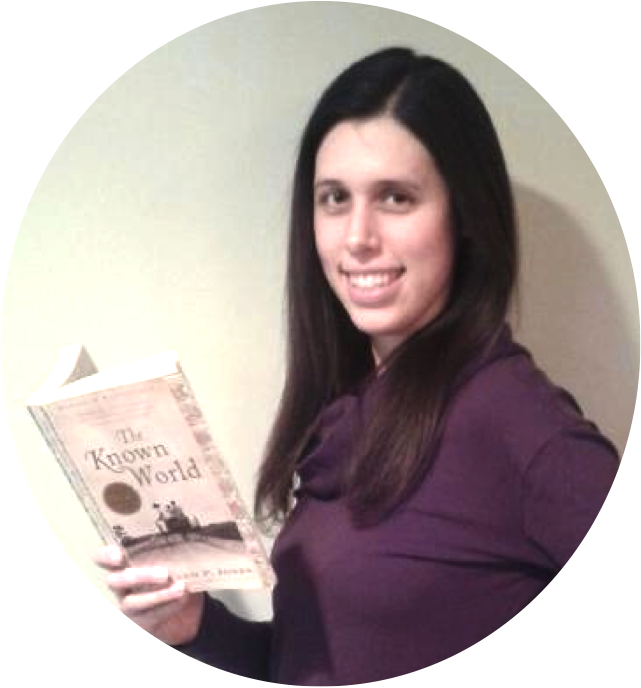 To ensure that all of my students started high school with a strong foundation in the literary elements, I found it best to give direct instruction followed by ample opportunities to apply terms and practice skills. During my direct instruction, I introduced students to the following terms: personal symbols, public symbols, symbolism, and allegory. Under the category of public symbols, I show students that symbols can have multiple meanings and they can represent people, events, concrete things, and abstract ideas. Many of my students were unaccustomed to taking notes so I provided them with a guided note taking template. This three column sheet provided a structured space for the term, definition, and examples. Before applying these newly learned terms to a short story or novel, I like to give my students opportunities to practice using shorter texts or media. For symbolism, using short video clips provides great visual reinforcement. In this playlist, I have collected a variety of videos "exposing" the origins of different symbols, how some symbols have changed their meaning over time, symbols hidden in well known logos, etc. I may only use one of two of these videos each time I teach symbolism, but they definitely help to spark student interest and open their eyes up to how prevalently symbols are used. Another way I reinforce symbolism is by using a menu of activities based on Bloom's Taxonomy. Students choose activities from four different section of the menu: knowledge and comprehension, application and analysis, synthesis, and evaluation. Students examine examples of public symbols and can use their knowledge to complete tasks such as designing a flag with a new symbol for their school. If I'm in the midst of a novel or short story, an activity that is fun to use with any text is creating word art. It's a great activity for any grade level and can be used to reinforce the ideas of character and symbolism. This activity can be done during or after reading with any short story or novel. Students brainstorm words to describe and associated with a character of choice, select an object to represent the character or his/her traits, and then create that object using the words they brainstormed. You can read more about the activity and see examples here. A fun introductory lesson to symbolism is creating a personal crest. I provide students with a crest template as well as the meanings of common symbols and colors. I ask students to select colors and symbols that represent them and then show students a sample crest to help them brainstorm additional ideas. I usually make students do a rough sketch or at least brainstorm a list of the symbols and colors they are going to use before handing out the crest template for their final product. After designing their crests, students write a short paragraph of explaining their choice of symbols and colors. If time allows, I'll have students present their crests to their peers. This activity could also be used as a beginning of the year activity for students to express who they are and decorate their new classroom. Students could also create crests to represent characters or individuals in a novel, short story, or nonfiction text. To demonstrate to students how powerful symbols can be, I incorporate a lesson on some of the propaganda posters used by Nazi Germany during World War II and the Holocaust. I select ten posters to print and hang around my classroom so that students can walk around and examine them. To begin, students infer the meaning of each poster by matching each poster with its correct English translation using the visual clues in the posters. After students have correctly matched the posters to their translations, they begin to identify patterns in the portrayals of the German people versus the Jews. Finally, students analyze symbols and color symbolism used in the posters. By the end of the lesson, students are able to see how the Nazi party to spread and preserve the basic ideas of Nazism and to dehumanize “inferior" groups. My favorite short story, "The Scarlet Ibis" by James Hurst, is a perfect choice for teaching symbolism as the author’s use of symbolism is clear, yet multi-layered. The story is also full of beautiful imagery that contrasts the heartbreaking end to the relationship between the two brothers. I remember reading it as a ninth grade student and was delighted to find it in the literature anthology I used as a ninth grade teacher. It’s a great text for examining foreshadowing and can also be used to introduce allegory by discussing the author’s attitude toward war. If you don't want to run the risk of crying in front or (or with) your students, "Through the Tunnel" by Doris Lessing, is another great choice. The main character struggles against himself, his mother, other boys, and forces of nature. Like most young people, the main character wrestles with being viewed as a child when he wants to be treated like a young adult. This coming of age story is full of imagery and symbolism, and also great for teaching the different types of conflict. Once students seem comfortable with the terms or if students need a challenge, I introduce students to a digital break out, "Symbols of a Well-Read Student" for additional practice. A digital break out is an online scavenger hunt-like game where players use teamwork and critical thinking to solve a series of challenging puzzles in order to open a series of locks. In this break out, students are hoping their current English teacher will recommend them for the advanced course next year, but she will only recommend students she considers to be "well-read" and has a list of five book titles students must read before she'll recommend them. Here's the catch; she won't directly tell students what the five book titles are. Instead, since they've just finished up a unit on symbolism, they'll have to use their knowledge of symbols and interact with a variety of text and media to figure out the titles of the books on the list. In addition to needing content knowledge to successfully complete the game, break outs require students to think critically, communicate, collaborate, and use creativity. I also love break outs because they provide students with many opportunities to fail and try again. Every unsuccessful attempt to open a lock forces them to reexamine their information and their thinking. While many of the activities described above allow students to show their understanding of skills and terms, as a summative assessment I use a set of text-based assessments, each with a reading passage and 10 multiple choice questions or 7 multiple choice questions and a short written response, to assess my students’ knowledge of symbolism. The variety of passages and text complexity levels allows me to retest students as needed and make accommodations for struggling readers. The variety was also helpful in the years that I had classes whose eyes tended to wander during quizzes or tests. 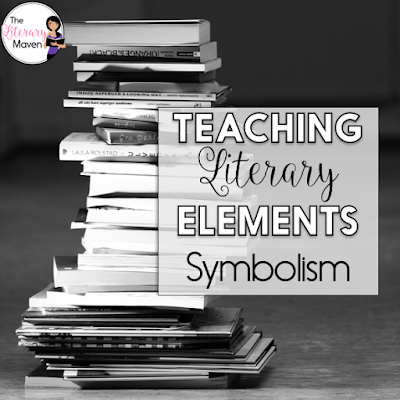 You can find all of my resources for teaching symbolism here.